FRIDAY, Dec. 2, 2016 (HealthDay News) -- Brain tissue thinning is still evident in former college football players several years after they stop playing, a new study finds. University of Cincinnati researchers conducted MRI scans of 11 former college players and found they had significantly less cortical thickness in parts of the frontal and temporal cortex of the brain, compared with former track-and-field athletes. "The former football players showed, on average, lower cortical thickness across prefrontal and temporal brain regions -- areas of the brain involved in sustained attention, memory and executive abilities -- cognitive domains critical to long-term professional and social function," said co-principal investigator Dr. Cal Adler. He is vice chair for clinical research in the department of psychiatry and behavioral neuroscience at the university. 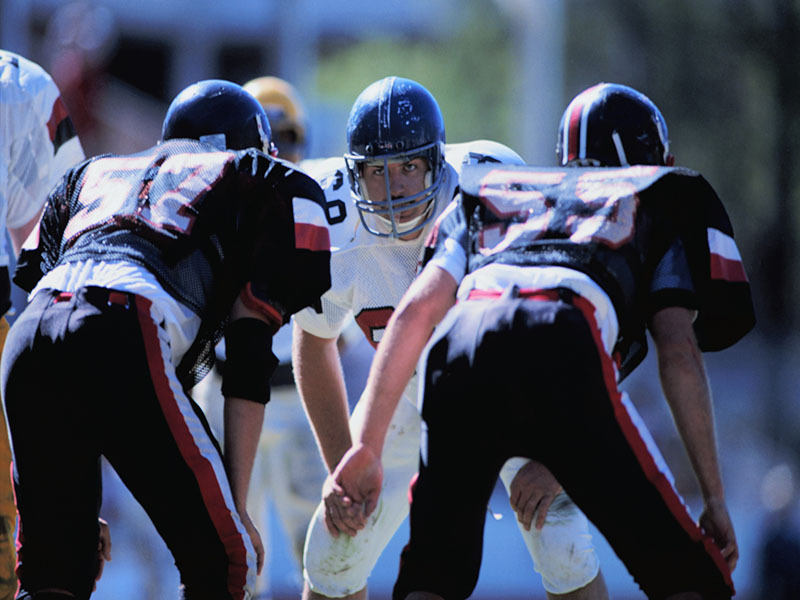 In many areas of the brain, there was a link between decreased cortical thickness and the number of concussions suffered by the former football players. But the study did not prove that concussions caused the thinning. This is a small study, but adds to growing evidence about the potential long-term brain effects of playing college football, according to the authors. The study was published online Nov. 30 in the Clinical Journal of Sport Medicine. "Larger studies following these football players as they age will be crucial to better understanding the risks of college athletics and the potential longer-term consequences of concussions in these young players," co-principal investigator Dr. Jon Divine, a professor in the department of orthopedic surgery, said in a university news release. More than 60,000 student-athletes play intercollegiate football in the United States, according to the National Collegiate Athletic Association.